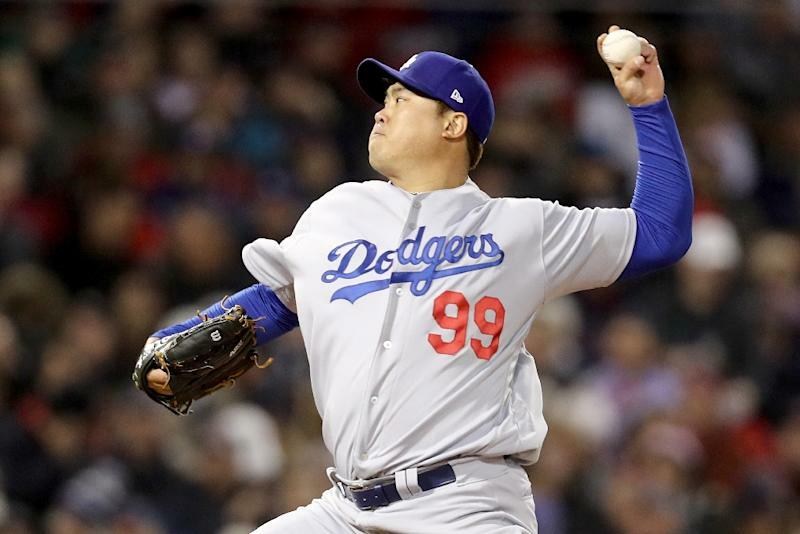 Los Angeles (AFP) - South Korean left-hander Ryu Hyun-jin will be the starting pitcher for the Los Angeles Dodgers on Thursday in their Major League Baseball season opener against Arizona, the club announced Friday. The injury-hit Dodgers have issues with pitchers Clayton Kershaw, Walker Buehler and Rich Hill so Ryu, who turns 32 on Monday, offers stability for a debut in front of home supporters. "It's definitely special, my first time in an Opening Day since I got to the States," said Ryu, who said he handled opening-day duties four or five times while playing in South Korea. "I wasn't really thinking about it, nor was it my priority. My goal was to build up my pitch count and innings to be ready for the season. That wasn't on my radar." But Ryu, the first South Korean to open for the Dodgers since Park Chan-ho did it 18 years ago, was on the radar of Dodgers manager Dave Roberts after seeing the setbacks to the rest of his rotation. Hill suffered a strained left knee ligament in a pre-season start Sunday and is expected to be sidelined for two weeks while Kershaw is expected to be out for several weeks with a sore left shoulder and Buehler struggled early in training with an unspecified issue. "Two weeks will save you three months of rehab and recovery," Hill said. "I don't want to go down the road of surgery. This is just the smart way to approach it and not derail the season." Ryu will be joined in the opening week rotation for the two-time defending National League champions by Japanese right-hander Kenta Maeda, Mexican left-hander Julio Urias and Americans Buehler and Ross Stripling. "The world changes, as rosters do, and you have to react," Roberts said. Ryu, who became the first South Korean starting pitcher in a major league playoff game in 2013, has recovered from major left shoulder surgery that limited him to only one start over the 2015 and 2016 campaigns. Last year, Ryu suffered a torn groin muscle and missed three months of the season but went 7-3 with a 1.97 earned-run average over 15 starts and became the first South Korean-born starting pitcher in the World Series. Over 15 innings in pre-season games, Ryu has a 3.00 earned-run average with 12 strikeouts. Ryu, a seven-time All-Star in his homeland from 2006-2012 with the Hanwha Eagles, begins his seventh season with the Dodgers after accepting a $17.9 million one-season offer. He helped South Korea win 2008 Beijing Olympic gold and reach the final of the 2009 World Baseball Classic.